Any two vertices in G can be connected by a unique simple path. G is acyclic, and a simple cycle is formed if any edge is added to G.
G is connected and has no cycles. 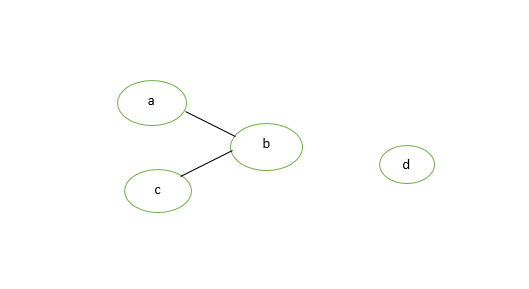 G is connected, but would become disconnected if any single edge is removed from G.
G is connected and the 3-vertex complete graph K3 is not a minor of G.
Theorem 1: Prove that for a tree (T), there is one and only one path between every pair of vertices in a tree. 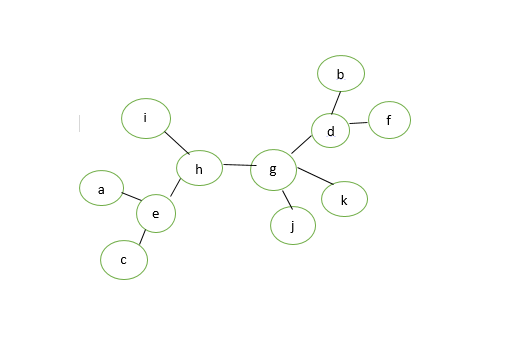 Proof: Since tree (T) is a connected graph, there exist at least one path between every pair of vertices in a tree (T). Now, suppose between two vertices a and b of tree (T) there exist two paths. The union of these two paths will contain a circuit and tree (T) cannot be a tree. Hence the above statement is proved. Theorem 2: If in a graph G there is one and only one path between every pair of vertices than graph G is a tree. Proof: There is existence of a path between every pair of vertices so we assume that graph G is connected. 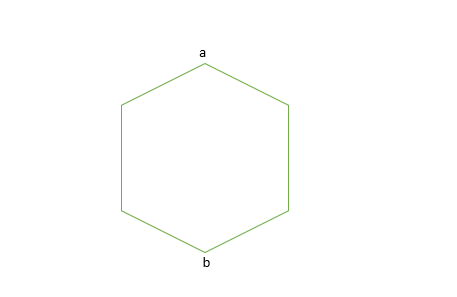 A circuit in a graph implies that there is at least one pair of vertices a and b, such that there are two distinct paths between a and b. Since G has one and only one path between every pair of vertices. G cannot have any circuit. Hence graph G is a tree. Theorem 3: Prove that a tree with n vertices has (n-1) edges. Proof: Let n be the number of vertices in a tree (T). If n=1, then the number of edges=0. If n=2 then number of edges=1. If n=3 then number of edges=2. Hence, the statement (or result) is true for n=1, 2, 3. Let the statement is true for n=m. Now we want to prove that it is true for n=m+1. Let be the edge connecting vertices say Vi and Vj. Since G is a tree, then there exist only one path between vertices Vi and Vj. Hence if we delete edge e it will be disconnected graph into two components G1 and G2 say. These components has less than m+1 vertices and there is no circuit and hence each component G1 and G2 have m1 and m2 vertices. Hence for n=m+1 vertices there are m edges in a tree (T). By the mathematical induction the graph exactly has n-1 edges. Theorem 4: Prove that any connected graph G with n vertices and (n-1) edges is a tree. Proof: We know that the minimum number of edges required to make a graph of n vertices connected are (n-1) edges. We can observe that removal of one edge from the graph G will make it disconnected. 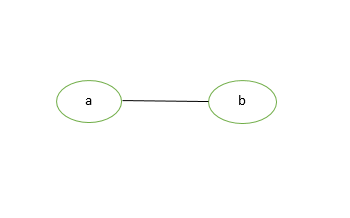 Thus a connected graph of n vertices and (n-1) edges cannot have a circuit. Hence a graph G is a tree. Theorem 5: Prove that a graph with n vertices, (n-1) edges and no circuit is a connected graph. Proof: Let the graph G is disconnected then there exist at least two components G1 and G2 say. Each of the component is circuit-less as G is circuit-less. Now to make a graph G connected we need to add one edge e between the vertices Vi and Vj, where Vi is the vertex of G1 and Vj is the vertex of component G2. Now the number of edges in G = (n – 1)+1 =n. 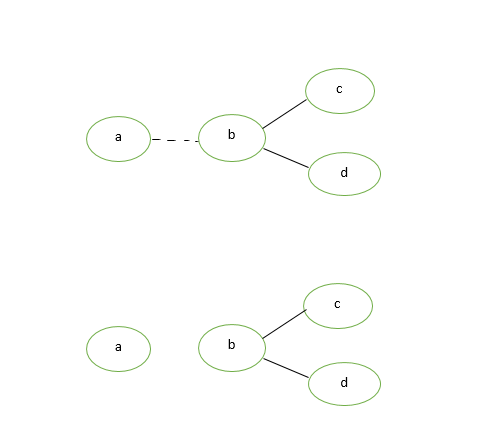 Now, G is connected graph and circuit-less with n vertices and n edges, which is impossible because connected circuit-less graph is a tree and tree with n vertices has (n-1) edges. So the graph G with n vertices, (n-1) edges and without circuit is connected. Hence the given statement is proved. 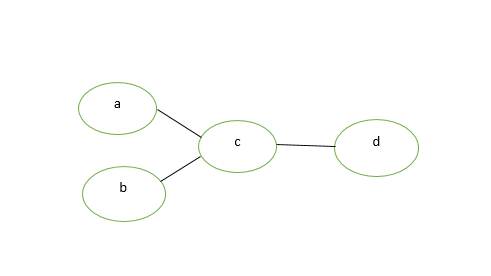 Theorem 6: A graph G is a tree if and only if it is minimally connected. Proof: Let the graph G is minimally connected, i.e; removal of one edge make it disconnected. Therefore, there is no circuit. Hence graph G is a tree. 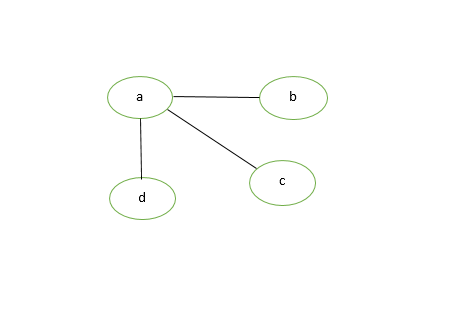 Conversely let the graph G is a tree i.e; there exist one and only one path between every pair of vertices and we know that removal of one edge from the path make the graph disconnected. 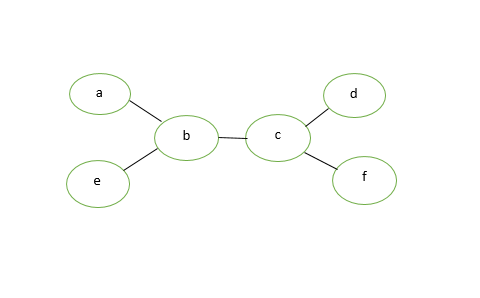 Hence graph G is minimally connected. Theorem 7: Every tree with at-least two vertices has at-least two pendant vertices. Proof: Let the number of vertices in a given tree T is n and n>=2. Therefore number of edges in a tree T=n-1 using above theorems. The degree sum is to be divided among n vertices. 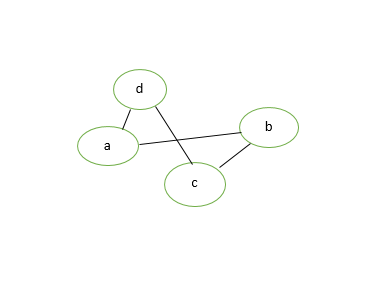 Since a tree T is a connected graph, it cannot have a vertex of degree zero. Each vertex contributes at-least one to the above sum. Thus there must be at-least two vertices of degree 1. Hence every tree with at-least two vertices have at-least two pendant vertices. Theorem 8: Show that every tree has either one or two centres. Proof: We will use one observation that the maximum distance max d(v, w) from a given vertex v to any other vertex w occurs only when w is pendant vertex. T must have at-least two pendant vertices. Delete all pendant vertices from T, then resulting graph T’ is still a tree. Aagain delete pendant vertices from T’ so that resulting T” is still a tree with same centres. Note that all vertices that T had as centres will still remain centres in T’–>T”–>T”’–>…. continue this process until the remaining tree has either one vertex or one edge. So in the end, if one vertex is there this implies tree T has one centre. If one edge is there then tree T has two centers. Theorem 9: Prove the maximum number of vertices at level ‘L’ in a binary tree is , where L>=0. Proof: The given theorem is proved with the help of mathematical induction. At level 0 (L=0), there is only one vertex at level (L=1), there is only vertices. Now we assume that statement is true for the level (L-1). Therefore, maximum number of vertices on the level (L-1) is . 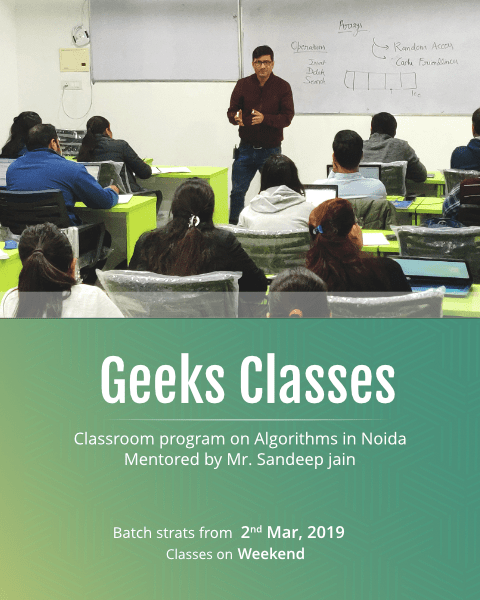 Since we know that each vertex in a binary tree has the maximum of 2 vertices in next level, therefore the number of vertices on the level L is twice that of the level L-1.